Peter Vidmar is a powerful and entertaining speaker at corporate meetingsand trade shows. With over two decades of experience for hundreds ofcorporations and professional associations, Peter has helped people throughout thecountry realize and fulfill their own potential. He does much more than just speakabout his experiences. In his inspiring, humorous, and entertaining presentations, healso performs portions of his Olympic routine on the pommel horse to drive home hismessage. He demonstrates the three components of a perfect score in gymnastics -Risk, Originality and Virtuosity (ROV) - and discusses how these principles apply tosuccess in business and life. His message brings something unique and refreshing tothe corporate arena. Peter Vidmar is the highest scoring American gymnast in Olympic history. The winner of numerous national and international titles, Peter finished his successfulcareer at the 1984 Olympic Games. As the USA men's gymnastics team captain, heled his teammates to America's first ever team gold medal with their stunning upsetvictory over the defending world champions, the People's Republic of China. He wenton to win the silver medal in the individual all-around competition (the first Americanto have won an Olympic All-Around medal), and with a perfect score of 10, hecaptured the gold medal on the pommel horse. Peter continues to contribute to the Olympic movement today. He is the Chairman ofthe Board of USA Gymnastics, the national governing body of gymnastics in theUnited States. He has served as the Co-Chairman of the US Olympic CommitteeSummer Sports Summit, an annual series of workshops designed to prepareAmerica's medal hopefuls to win gold in future Olympics. He also serves as a USOCOlympic Ambassador, helping to prepare all of America's athletes on working withthe media and to represent the United States with character and respect. For many years, Peter has also worked as the gymnastics commentator for CBSSports and ESPN. He continues to work as a journalist, broadcaster, and corporatespokesperson at each summer Olympics. 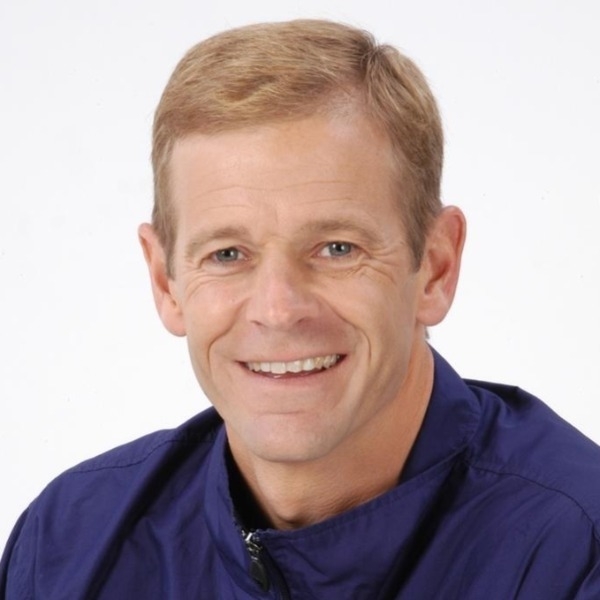 Peter has served on the President's Councilon Physical Fitness & Sports, the Executive Board of the United States OlympicCommittee, and the Executive Committee of USA Gymnastics. He was appointed byGovernor Arnold Schwarzenegger to serve as the Vice Chair of the CaliforniaGovernor's Council on Physical Fitness & Sports and is the Vice President of theSouthern California Committee for the Olympic Games. Peter is one of only three athletes inducted into the US Olympic Hall of Fame twice;first as an individual, then as a member of the historic 1984 USA men's gymnasticsteam. He is also the author of Risk, Originality, and Virtuosity: The Keys to a Perfect10. Sometimes we're afraid to risk. Risk has an element of fear, because it means taking a chance that might not pay off. It involves the unknown, and we tend to fear the unknown. By avoiding risk, we don't set ourselves apart. And if we don't take risks, someone else will. Then they'll move ahead to seize opportunities that could have been ours. Peter has said that "You can always play it safe, but there is always someone else out there who is willing to take chances, and in the long run he's going to end up on top." In order to risk, we have to overcome fear and realize that the worst that can happen is not failure, but a temporary setback. We can all learn from setbacks. So in reality, by risking, we either succeed or learn, or both. Risk allows us to move ahead and grow, rather than remaining stuck in the same place, satisfied with the status quo. And of course, the principle of Risk must be applied together with Originality, and Virtuosity. We tend to copy what other people are doing. It seems safe. Someone succeeds while doing something a certain way and we imitate them in hopes of the same success. It's true, we can learn from others. But if we do no more than follow, we're always playing catch up. Someone else will always lead the way. If we strive for originality, and not worry about the next guy, we get to the point where "you are the standard, and everyone is watching you." True success comes with an original idea or an original way of doing something common. Often new skills or methods are learned by accident, usually when we're taking risks. This is how Risk and Originality can work together. And Virtuosity is the final part of the equation. Virtuosity means becoming very skilled or proficient at a certain task. The only way to become skilled is to work hard and smart. While we cannot control the amount of natural ability we have, we can control the amount of effort we put forth. As Peter states, "When we place a high enough value on something, we'll get the job done." In order to apply the principle of virtuosity, we must always remember the final goal. And that final goal must be of great worth. By constantly keeping the Olympic Gold Medal in mind, Peter placed a great value on every workout. There were rewards for his extra efforts. Virtuosity involves taking a common skill and working hard to perform the task better. Add your own flair. Let your own personality and unique qualities shine through. Risk using your own Originality to develop Virtuosity. Gymnastics is a team sport where the outcome is based entirely on a collection of individual performances. "At the Olympic Games, while I am competing with my teammates, I am simultaneously competing against them for the individual medals. So how do we work together on a daily basis for the benefit of the team?" Using his ROV principles, Peter describes the tools his team needed to apply, every day, to reach the top of the Olympic Podium, as a team and as individuals. One of the reasons gymnastics is the most watched event of the Olympic Games is that the viewer can always expect something new and different from the athletes. Gymnasts are masters at pushing the envelope, as they constantly try to reinvent their athletic art form. Innovation also requires some risk, and Peter discusses and shows how the judging category of ROV: Risk, Originality, and Virtuosity, has become a mandate for constant change in his sport. In describing how we need to stop playing catch up with the competition, Peter says, "A perfect 10 just a few years ago may only score an 8.5 today. If I don't innovate, I'll be left behind very quickly!"